In the first part of the course we consider the types of narrative roles that robots have occupied, as well as how the concepts of robotics and automation are reflected in the social and cultural contexts in which those media are produced. The second part of the course examines recent developments in robotics as forms of digital media, both continuous with and distinct from other types of digital media. We assess how contemporary debates about the potential uses and social impacts of robotic media intersect with popular narratives about robotics, both pessimistic and optimistic. The class also considers what makes contemporary discourses on robotics unique, and what that might tell us about contemporary society and culture. There will be no final exam. Instead, a final research project will be required. For most students, this will take the form of a 3000-5000 word (Times New Roman, 12pt font, double spaced) term paper, due on the last day of class. If that deadline will not work for you, you need to make other arrangements one week in advance, at the latest. Films and media projects can also be used to fulfill this requirement, but must be approved and should approximate a similar amount of research and work. You will have to write a proposal for your project by October 13, but you should be thinking about possible topics from the start of the semester. Research proposals should state the question, problem, or phenomenon that will be the focus of your research. It should also state your thesis or position on the issue, as well as outline the argument you will use to support your position. This applies to both papers and media projects. You should also indicate the sources and materials you will consult and utilize in making your argument. For media projects, you should state as clearly as possible what you intend to deliver for the final draft (i.e., video length, style, format, content, etc.). The first draft of your project is due November 22. Like all drafts, this should be treated as if it could be the final draft. It should be a complete term paper or media project. The argument should be fully developed, with appropriate citations, and draw upon your research. Craig A. Anderson (2003) "Violent Video Games: Myths, Facts, and Unanswered Questions," American Psychological Association Science Briefs. Dave Mosher (2011) "Defeated Videogame-Violence Experts: Science Was on Our Side," Wired Science, June 28, 2011. Nicholas L. Carnagey, Craig A. Anderson , and Brad J. Bushman (2006) "The effect of video game violence on physiological desensitization to real-life violence ," Journal of Experimental Social Psychology, Volume 43, Issue 3, May 2007, pp. 489-496. Watch: Errol Morris (2008) Standard Operating Procedure, Sony Classics, 116 min. Work on Research Project Drafts! Paul Edwards (1996) The Closed World: Computers and the Politics of Discourse in Cold War America, Cambridge, MA: MIT Press, pp. 1-145. 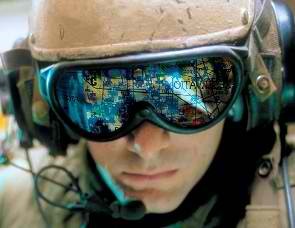 Watch: Frontline (2000) The Future of War, PBS, 6 min. Watch: Stanley Kubrick (1964) Dr. Strangelove or: How I Learned to Stop Worrying and Love the Bomb, 95 min. Chris Woods (2011) "Number of CIA drone strikes in Pakistan hits 300", The Bureau of Investigative Journalism, October 14th, 2011. Philip Alston (2010) "Report of the Special Rapporteur on extrajudicial, summary or arbitrary executions, Study on targeted killings," United Nations, May 28, 2010. Jenna Jordan, (2009) "When Heads Roll: Assessing the Effectiveness of Leadership Decapitation," Security Studies, 18, pp. 719755. New America Foundation, (2011) "The Year of the Drone: Analysis of US Drone Strikes in Pakistan"
Dana Priest and William M. Arkin (2011) "Top Secret America: A look at the militarys Joint Special Operations Command," Washington Post, September 2, 2011. Arkin, R.C. (2007). Governing Lethal Behavior: Embedding Ethics in a Hybrid Deliberative/Reactive Robot Architecture, Part I. Motivation & Philosophy, GVU Technical Report GIT-GVU-07-11, pp.1-8. Philip N. Howard, The Lasting Impact of Digital Media on Civil Society. U.S. State Department Global E-Journal, January 25, 2010. Philip N. Howard, #IranElection: Inside the cyberwar for Irans future. Miller-McCune Magazine. January-February 2010. pp. 28-33. Jack Z. Bratich (2011) "Kyber-Revolts: Egypt, State-friended Media, and Secret Sovereign Networks," The New Everyday, April 25, 2011. Jennifer Preston and Brian Stelter (2011) "Cellphones Become the Worlds Eyes and Ears on Protests," New York Times, February 18, 2011. Nick Fielding and Ian Cobain (2011) "Revealed: US spy operation that manipulates social media," The Gaurdian, Thursday 17 March 2011. Ellen Nakashima and William Wan (2011) "Chinas denials about cyberattacks undermined by video clip," Washington Post, August 24, 2011. 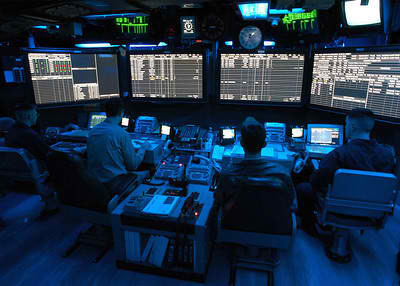 Ellen Nakashima (2011) "Cyber-intruder sparks massive federal response  and debate over dealing with threats," Washington Post, December 8, 2011.